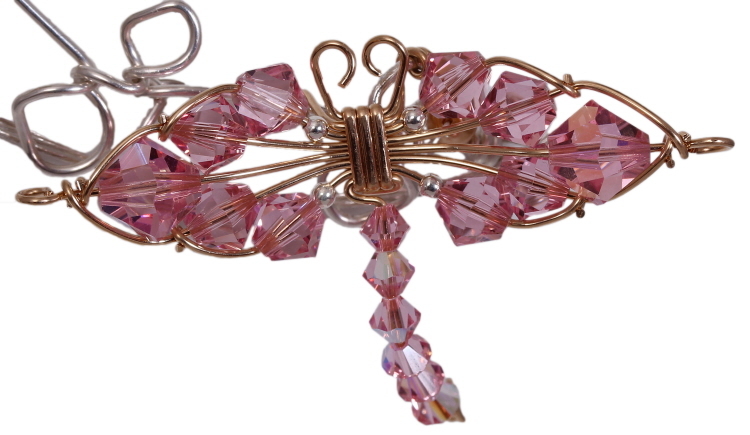 A delicate crystal dragonfly hovering on a wire "branch". 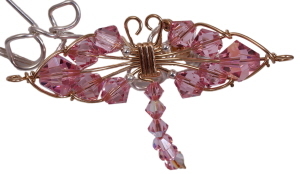 Dragonfly is made using 14kt rolled gold wire and Swarovski crystals in light rose. "Branch", complete with "leaves", is hand formed in heavy gauge, round, argentium wire. Small pearls are added as "berries". 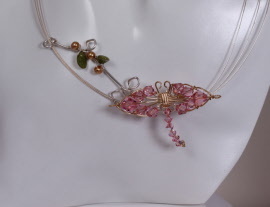 Pressed glass, leaf shaped beads, add color. 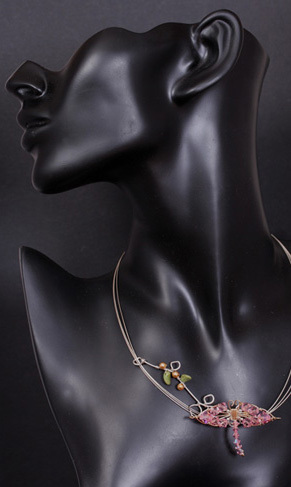 Each "branch" is unique. 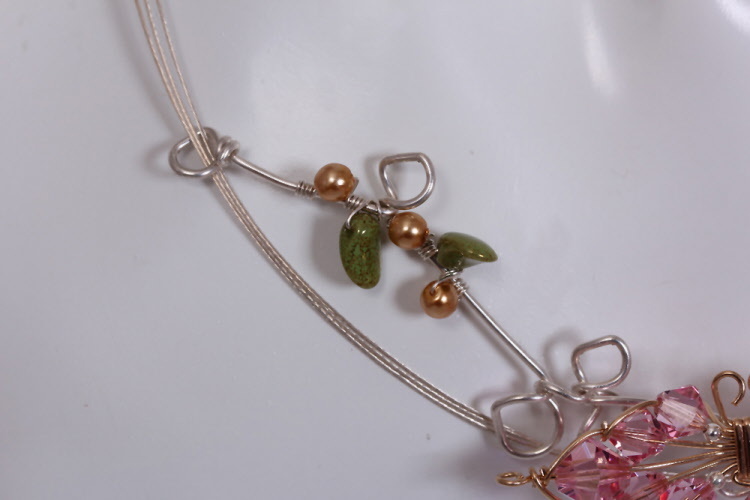 Multi-strand sterling silver neck wire is delicately made and just 16¾ inches in length. Sorry, one size does NOT fit all. IF a larger size is needed, neck wire could be switched out and the price adjusted accordingly.